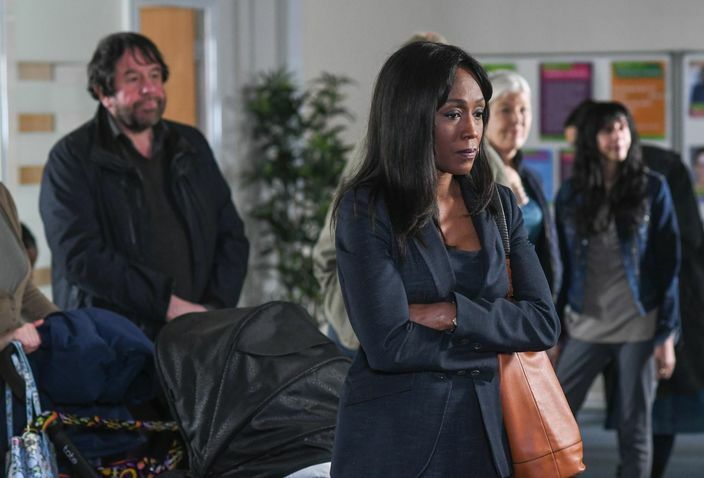 You may have been watching the unfolding story in EastEnders where Denise Fox is facing crisis, after losing her job and has to visit a foodbank. If EastEnders was real life, then Walford would be Tower Hamlets, so Denise would have most likely been referred to our service. This is how we would have helped her get back on her feet. Our advanced referral system means that we know who is going to attend our service and the crisis they are facing, so we can plan ahead and help quickly and effectively. Denise would have been welcomed into our session by our friendly volunteers, offered a cup of tea and biscuit while waiting to see our Project Worker. Our volunteer team are skilled at helping put people at ease at what is a difficult time. We don’t judge at First love Foundation, our first response is to love and care for everyone we see. Denise would have then met with our Project Worker who helps find the root cause of the problem, as crisis is often made up of a number issues. Our Project Worker is also there to give encouragement and support the people we see. Based on what we understood her circumstance to be, we would then have referred her onto our specialist welfare rights advice team who are there at the session. Their primary focus is to help her gain access to the financial support she is entitled to. Our volunteers would then bring Denise her emergency supply of food and toiletries which would provide short term help until the crisis is resolved. She would also be connected with assistance to help her back into employment and towards sustainable living, reducing long term dependence on charitable food support. This is the “First Love way” of responding to food crisis and we have served the community of Tower Hamlets in this way since 2013. Typically, there is a 67% chance that Denise would not have to return to our service as we had helped her resolve the crisis and get back on her feet. On average every month, we meet around 100 people like Denise who are referred to our service in need of help. But we cannot do it alone. Help us support people in Denise’s position by donating today. Your support could help transform someone’s life from crisis to sustainability. Click here to donate and find out more.